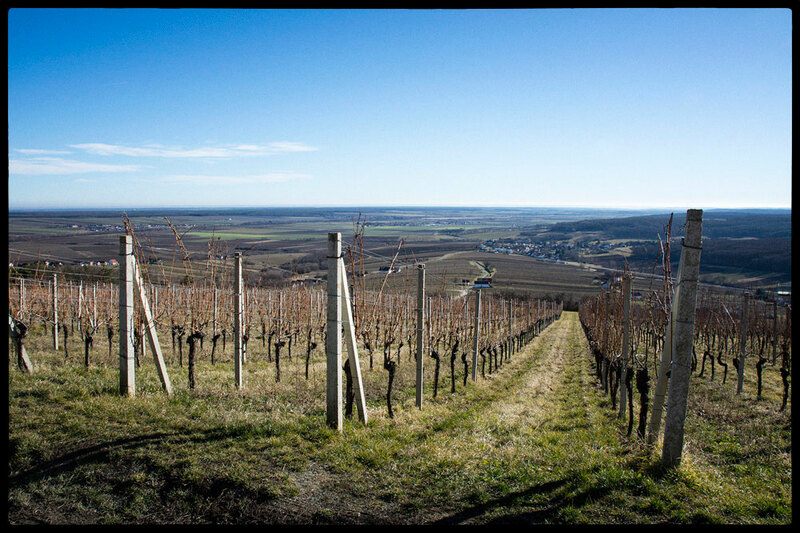 Some of Krutzler’s 3ha of Blaufrankisch vines on the iron-rich slopes of the Eisenberg, the Great Hungarian Plain stretching away in the distance. Reinhold Krutzler has the appearance and demeanour of a man of the soil. Straightforward, slightly shy, economical with words, he is deeply serious about his beloved Blaufrankisch, of which his modest but bright, modern winery is a leading source. Situated in southern Burgenland, his vines slope away from his house in the village of Deutsch-Schützen to the nearby Hungarian border, whilst another parcel is found on the nearby Eisenberg, the steep, south-easterly facing slopes which nuture some of the finest vines. His father was one of the pioneers of the dark Blaufrankisch here, for the then mixed farms would normally have a few white Furmint or Welschrielsing vines, and so too did his father see the attributes of low yields and quality, as opposed to the production of were referred to as ‘tavern wines’. 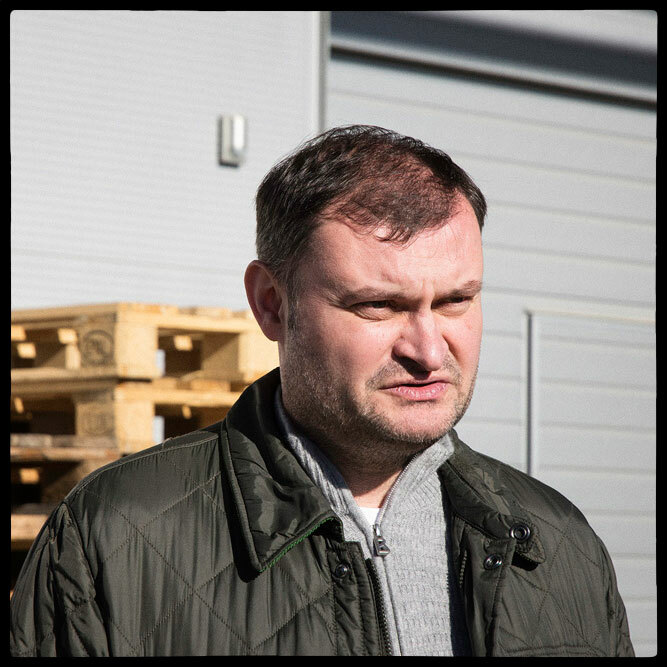 Reinhold has carried this drive to quality forward, adapting careful management of the vines and gradually finding that his wines have become more refined and delicate. His classic estate Blaufrankisch is a wine well-suited to modern cuisine, with its delicious, bright cherry aromas, and shows an interesting ability to evolve in bottle, whilst the Reserve, sourced from the oldest parcels on the Eisenberg slopes, is deep-coloured, with a fine minerality and a firm tannic structure that needs time to unfold.